KoopaTV: Super Smash Bros. For Wii U Tournament in the Rio British House! 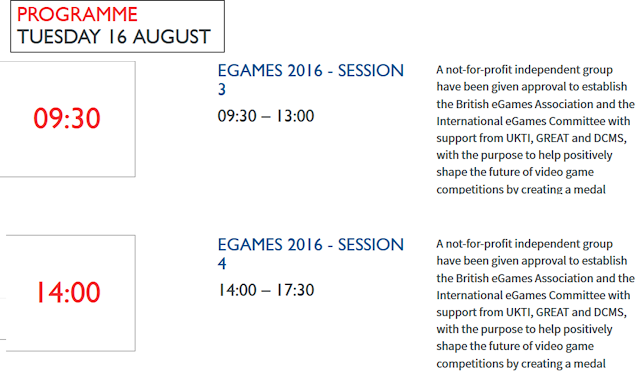 Then on Tuesday, sessions 3 & 4 of the showcase. So... according to Shoryuken and Smashboards, Monday's sessions are for SMITE and Tuesday's are for Super Smash Bros. For Wii U. That makes Monday a total waste of time, right? Professor Stephen Belcher doesn't even belch once in that. 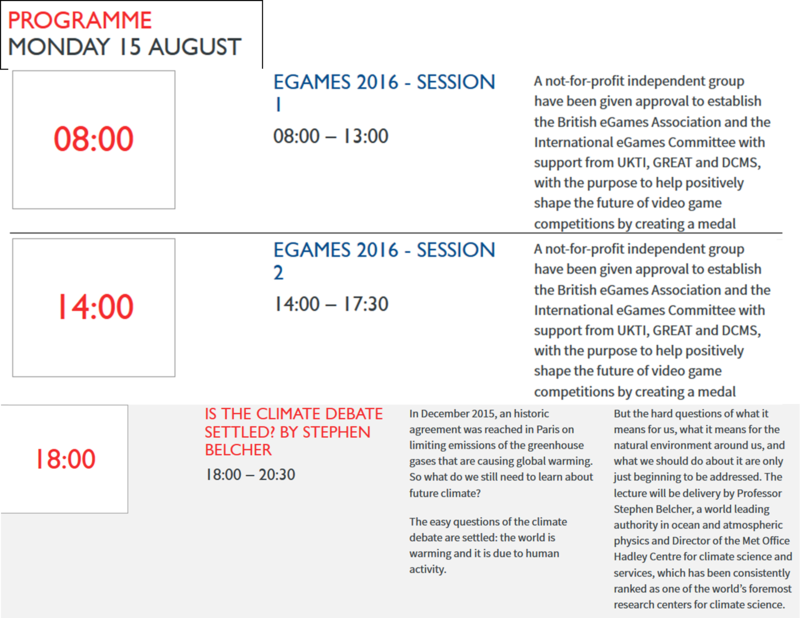 I guess it fits with Rio 2016 to have eSports followed by climate change propaganda. After all, these Olympics are all about climate change, according to the Opening Ceremony. Just a reminder that this isn't the official Olympics, and won't be broadcasted by NBC. (...Good.) It won't be broadcasted by the BBC either since they're busy with synchronised swimming and gymnastics. So, where is it? You CAN watch the stream here on ESL TV (not a competitor or an affiliate of KoopaTV). I don't think they'll cover the climate scientist guy, though. I could be wrong, and that's certainly something that's happened before — albeit rarely. Oh, and if you're wondering: No word of Super Smash Bros. Melee being involved in any (fake) Olympic event. And that may be a good thing for its dignity, because, quite frankly, that frees the older game of being dragged down by the total disaster that Rio de Janeiro is. Still, it's a step-up for For Wii U, a game otherwise known for pulling terrible timeslots at fighting game majors (EVO 2016) to make room for other games. Here, it gets the whole day (not counting the actual Olympic games) all to itself, at a dedicated eSports event that took coordination to set up! That's what I call a rebound. The only event Ludwig will be free to watch is the climate science one with Stephen Belcher, and obviously he's not going to watch that. ...That's because he's busy during the day. The next step: Videogames with the Special Olympics. Almost. When I think of British professors, the first to come to mind is like Professor Layton. Unlike actual professors, however, he actually solves people's problems and doesn't focus on getting recognition. If only others would follow in his virtual footsteps. Full disclosure: I chuckled at this when I saw it this mornin', and I'm chuckling at it again now. Good job.